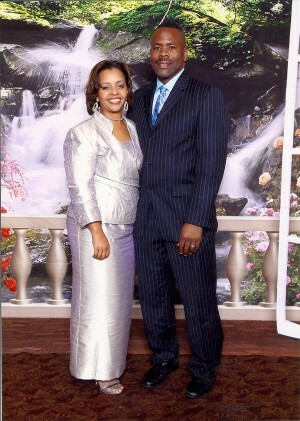 Elder Michael and Evangelist Monique Foster serve together in ministry at Abundant Harvest Church. Elder Michael has been with Abundant Harvest Church since the birth of the ministry in 1997. He is a very highly anointed man of God who knows and lives the Word of God. His first dedication is to the Word of God, having been called into ministry and ordained as an elder by recommendation of Pastor Willie S. Foster. Elder Michael is sought out by Pastors to bring the message of the Gospel to various churches in the area, while remaining totally committed to his home ministry. Elder Michael is able to fulfill his love of praise as the Minister of Music at Abundant Harvest Church. He plays multiple instruments. Playing his bass professionally, he has recorded with some of the largest gospel music artists. He is a family man, a father of three and a loving husband to his wife, Evangelist Monique R. Foster. Evangelist Monique received her Evanglistic license in September 2012. Evangelist Monique is a member of the Compassion Team, works on the building fund committee and is a Sunday School Teacher. In 2018, Monique recieved her Masters Degree. Elder Michael and Evangelist Monique demonstrate their devotion to worship through their commitment to a Praise and Worship Team that focuses on ushering in the presence of God each Sunday. Michael serves on the finance and administration teams as well. Elder Michael and Evangelist Monique are hard workers in all that they do; whether, it's working to support their family, working in the church and supporting their pastor, or working in the vineyard bringing in more souls. They are dedicated to building the kingdom of God!